World Bank and International Monetary Fund are holding their annual meetings in Bali this week. 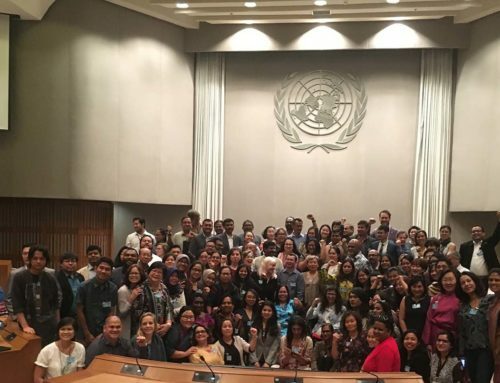 At the forum held for civil societies from 9th to 12th October, when World Bank and IMF officials were asked questions about their policies and development projects, their impacts on women’s lives, and their actions to combat climate change, they dodged, ducked and fumbled their way through. Human capital was the new catchphrase of the World Bank and the International Monetary Fund, with the latter promoting their new Human Capital Index which attempts to quantify the contribution of health and education to the productivity of the next generation of workers. An important part of this Human Capital is empowering women, an old narrative repackaged by the Bank and IMF that people, especially women are economically empowered when they have the agency to compete in the labor market. “This pinkwashing move does not recognise that often when women join the labor force, they are right at the bottom of it. Women and people are truly empowered, and economy can only work for the people when they have real power and control over their own lives and the terms on which they engage within or with the economy. 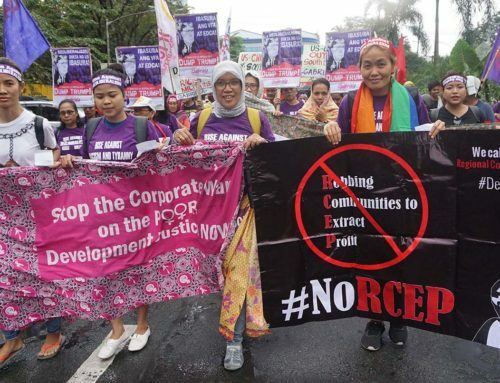 It also completely neglects to mention that governments have the responsibility to provide basic health and education to its people regardless of whether or not its people are going to go into the labour market system,” said Joan Salvador, Gabriela Alliance of Filipino Women, Philippines. Women, more often than men, need and depend on these services being publicly provided by their governments. 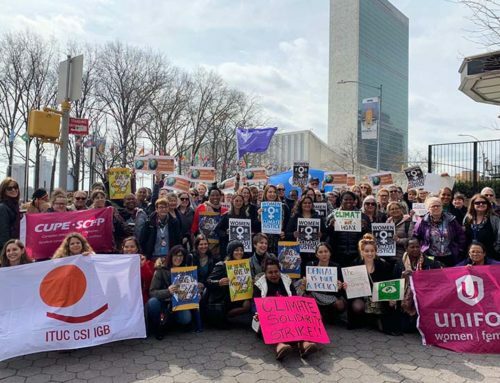 One of the top officials of the World Bank said during a side event during the Bank’s Civil Society Policy Forum with global trade unions that he did not like the term Decent Work as it implies that other work is not decent. This kind of comment is alarming as it illustrates that the head of an international financial institution that claims to advance countries’ development, lacks understanding of such a common and existing labour rights standard existing under the international law, within the United Nations systems and as promoted by the International Labour Organization. To add salt to wound, he also said that Decent Work was unrealistic, clearly reiterating the Bank’s positions in World Development Report 2019. “However this is not the reason why states, employers, and international financial institutions should not aim for making Decent Work guaranteed for everyone. The World Bank can start by first, educating their institution and staff what Decent Work is. 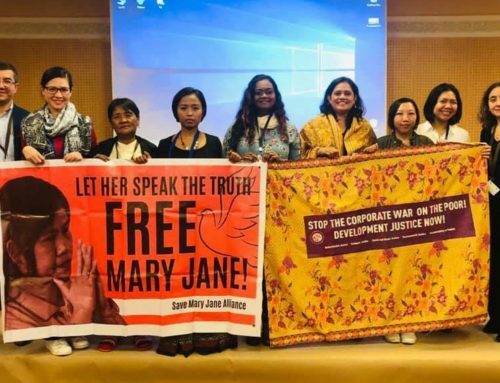 Second, it stop recommending policies to further labour deregulation and flexibilisation,” said Suluck Lamubol, Asia Pacific Forum on Women, Law and Development, Thailand. President Jim Kim of the World Bank proudly announced at the CSO Townhall that the World Bank is putting in 1 billion US Dollars and seeking an additional 4 Billion US Dollars to provide batteries in the developing world as part of their efforts to combat climate change. This line from President Kim came just a day after one of the Bank’s Director in a roundtable with CSOs insisted that further discussions are needed within the Bank before it can put an end to all of their financing of fossil fuel, because there is a need to balance energy needs with climate change. “No amount of batteries would put an end to our climate change problem. It is alarming that the Bank’s officials give such a ridiculous argument, at a time when all countries should be committed to keeping our temperature below 1.5, which we are most likely to exceed, and where more than ever there are genuine renewable energy options available. Why do Bank officials insist if dirty energy is the only option we have?” said Titi Soentoro, Aksi! for gender, social, ecological justice, Indonesia.